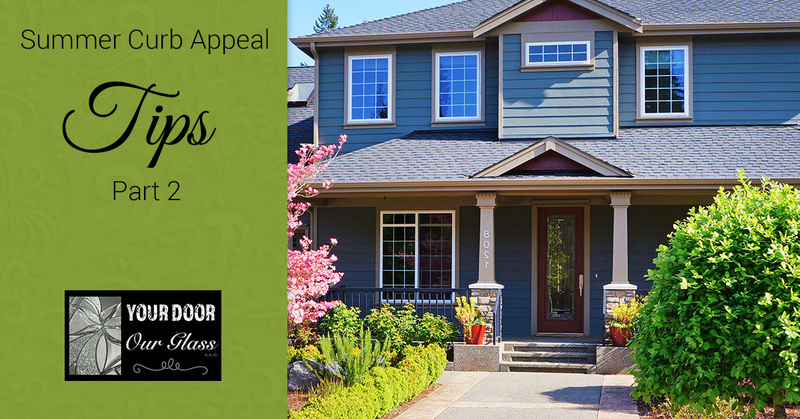 In our previous blog, Temecula’s glass door design experts covered a few ways that you can improve the curb appeal of your home. We’ll continue on that topic here, with even more ways to spruce up your home for improved resale value and more thorough enjoyment of your outdoor space. Get rid of the lawn altogether. Having no lawn at all is better than a nasty, bald-spot-riddled one—so if you’re not willing to learn the ins and outs of lawn care or hire a professional lawn care team, you might need to ditch the lawn and opt for something less high-maintenance, but still beautiful. Xeriscaping—or landscaping that requires little to no watering or irrigation—is a great way to ditch the lawn while still improving your curb appeal. Plus, it’ll help you save money on your water bill and reduce your water consumption—something that’s very important in California these days. Do some research on low-water plants that can thrive in Temecula’s climate zone, and use berms and raised plant beds to add dimension and visual interest to your xeriscape design. There are way more landscape design possibilities when you ditch the boring turf lawn—so go crazy with plant diversity and creative arrangements to transform your home’s curb appeal! Give your home a coat of paint. New siding is usually the best option for improving your home’s curb appeal. However, this can be a hefty investment. The key to getting a healthy ROI on your home sale is to find cost-effective ways to beautify your home—and giving your home a new coat of paint is a great way to accomplish that. This isn’t in the realm of DIY projects—outdoor paint jobs are a bit more complicated than painting a bedroom. Hire a professional to paint your home, and you’ll save plenty of money compared to a full-on siding installation. Plus, your home will look newer and more aesthetically pleasing than ever before! Your front door can say a lot about your home, or it can say nothing at all. As the literal and symbolic entry into your home, your door needs to make a statement about the style of your home, and give your curb appeal an added boost. That’s where Your Door Our Glass can help! In the world of curb appeal, you only have one first impression—that’s why we provide Temecula residents with beautiful and durable glass door designs. Our name says it all: we take your door, and replace your lackluster glass with custom artistic designs for instant curb appeal. Get started by calling for a consultation today!